[Updated 8/20/15, 5 p.m. See below.] 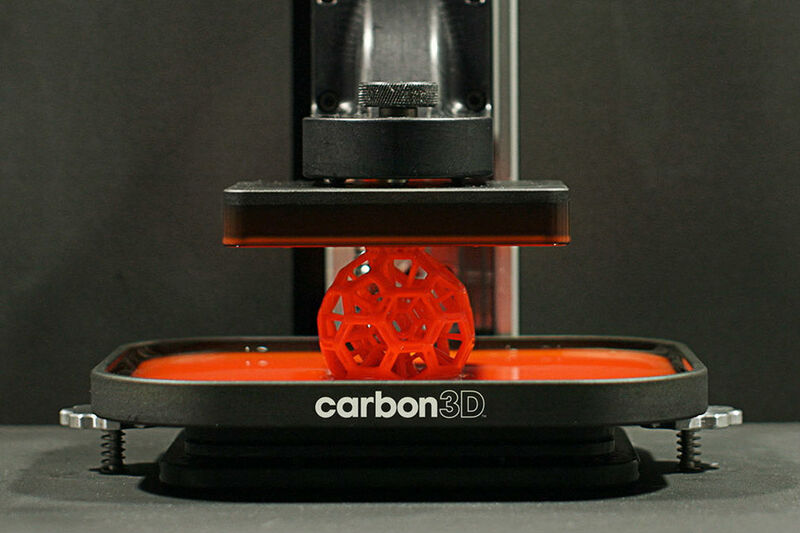 Is Carbon3D the next step in 3-D printing? Google seems to think so. Google Ventures led a $100 million round in the San Francisco-based company, which has developed a method of “printing” objects from a liquid resin using a photochemical process that it says is based on a a character from the Terminator movie series. The company says that its technology, called CLIP (Continuous Liquid Interface Production), is faster than standard 3-D printing methods, taking about 6.5 minutes to print something compared with hours for traditional methods. Carbon3D uses an ultraviolet light to create the pattern of the object it wants to print, and the company’s software uses the light’s interaction with oxygen to create of the object being printed. The object is actually formed as Carbon3D’s machine pulls it out of a pool of liquid, plastic resin. It’s really more instructive to watch it happen. 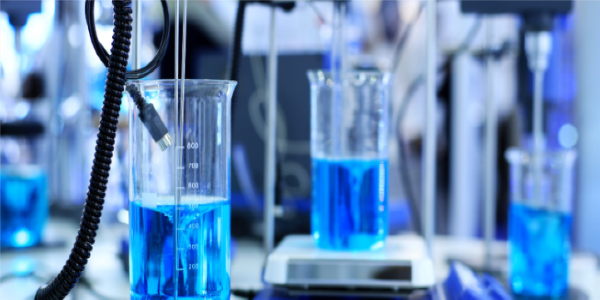 The company was founded in 2013 in Chapel Hill, NC, by Joseph DeSimone, a chemist at the University of North Carolina. His work has led to the formation of numerous companies, including Bioabsorbable Vascular Solutions (which was acquired by Guidant in 2003) and Research Triangle Park, NC-based Liquidia Technologies, which has commercialized a technology to manufacture nanoparticles used in vaccines, among other applications. Carbon3D touts the manufacturing potential of its product, noting that it has already worked with Ford Motor Company (NYSE: F) on an “early access” program to create component parts for some of its cars, and a Hollywood special effects company. Carbon3D hasn’t revealed whether it has actually commercialized any of that work, or if it will. Yet Carbon3D’s method of using ultraviolet light and resin for 3-D printing is familiar. Numerous other companies, including Somerville, MA-based Formlabs and San Rafael, CA-based Autodesk, have manufactured devices that create 3-D objects out of resin, known as stereolithography. Wired highlighted the rising interest in the process in 2012. And there are even online tutorials that instruct the at-home scientist about how to make a stereolithography printer of their own. Without going into specific detail about what makes Carbon3D’s process faster, company spokeswoman Kristine Relja said innovation lies in the use of light and oxygen. The company’s tool has an oxygen-permeable, UV-transparent window below the bath of liquid resin, Relja says. That creates what the company calls a dead zone—a thin layer of uncured resin that allows the tool to continue to make the object without stopping. The company’s software manages the process. The investment from Google certainly has some meaning in itself; famed investor Yuri Milner, whose investments include Illumina’s genomics accelerator and Cambridge, MA-based Foundation Medicine also participated in the $100 million Series C.
Autodesk is also one of Carbon3D’s previous investors, a fact that also offers some insight. Autodesk provided the company $10 million in April through its Spark Investment Fund, a $100 million fund that targets innovation in 3-D printing. Even though Autodesk has a similar product, the company may be interested in the speed of Carbon3D’s machine. “The incredible speed of its CLIP technology makes 3D printing accessible for true manufacturing, beyond the prototyping and the one-offs we see it being used for now,” Carl Bass, president and CEO of Autodesk, said in a statement at the time. Carbon3D’s work with Ford shows that it has already received interest from large companies. The auto industry has already been a focus of 3-D printing technology, as Xconomy’s Sarah Schmid wrote in January. The uses of 3-D printing tech are widespread, including companies such as Austin, TX-based TeVido BioDevices, which uses the technology to reconstruct human tissue after breast cancer. Companies such as Brooklyn-based MakerBot, which made headlines when it was acquired by Stratasys, offer more traditional 3-D printing. The basis of Carbon3D has strange roots: DeSimone said during a TED Talk in March that he and his cofounders got the idea for the company from Terminator 2 and the way the T-1000 character forms from a puddle in real time, with no waste. The similarities are striking. Reinet Fund S.C.A. and F.I.S. also joined in the Series C. The investors from the company’s Series A and B rounds, which included Sequoia Capital, Silver Lake Kraftwerk, and Northgate Capital, also participated. The company says it has raised $141 million to date.